Storepeople receive, check, store and send out goods from a warehouse, business or organisation. Source: careers.govt.nz research and Pay Scale NZ and Superior Personnel, 2018. Chances of getting a job as a storeperson are good because it's a large, growing occupation. Pay for storepeople depends on their employer, level of experience, and responsibilities. New storepeople usually earn minimum wage. Mid-level storepeople earn about $19 to $22 an hour. Experienced storepeople earn about $22 to $25 an hour. Warehouse managers/distribution supervisors can earn up to $30 an hour. Sources: careers.govt.nz research, Pay Scale NZ and Superior Personnel, 2018.
work in a variety of conditions, depending on the type of goods involved. 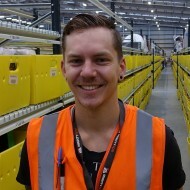 As warehouse stock manager for New Zealand online retailer Mighty Ape, Aaron Dixon plays an important role in making sure that customers get their orders on time. Aaron says he didn’t always have ambitions of working in warehousing, but after starting as a casual picker at Mighty Ape while at university, he realised the opportunities the work could bring, and chose to grab them. "I decided that a career within the company would be a great opportunity, so I spoke up and asked for any position that could give me a good career path." Working in a busy warehouse environment can be challenging, but Aaron loves being a valuable member of his team. "The most challenging part of my job would have to be keeping on top of all the tasks within the warehouse while helping organise special events like stalls at Armageddon Expos. Most recently I also organised the move to our new building. This was a Goliath of a job with over half a million products to be moved, but it took us only two days! "I love being able to express ideas to help improve my departments, and I also love the people that I work with. The people in the company really make each day amazing for me." If a career in warehousing is something you’re interested in, Aaron says the best advice he has is to work hard, show initiative, be ambitious, and don’t be afraid to ask questions. "Without asking questions, you will never know the answers and you may miss out on opportunities." Fallon: Hi, I’m Fallon, I’m 16 years old and I go to Onehunga High School. I’m looking at the career of warehousing and distribution. Clinton: Every day over 200 million dollars worth of goods move in and out of New Zealand. A lot of it is handled by reliable and flexible warehousing and distribution companies – like Linfox. The operation involves three aspects: warehousing – the storage and sorting of product; customer services – liaising with customers; and distribution – the transport of products to customers. Paul: Gidday Fallon, how’re you going? My name’s Paul. I’m the sight manager here, welcome to Linfox. Paul: Good to see you’ve got your safety footwear on. Here is a safety vest which we have to wear at all times while on-site. We’re pretty big on safety here. Clinton: The Linfox warehouse is a very busy place and heath and safety is always a top priority, so Fallon receives a full safety briefing and site induction talk before she starts any work. Clinton: A number of major food manufacturers use this warehouse as a storage and distribution centre. Paul: About 99% of the product that we get in here is imported in containers – most of it out of Australia. The operation de-vans those containers at the back, the pallets are then checked in, put away into the racks, the orders then come through to us from our clients and we run the pick/pack operation, so it could be one carton or a full pallet and that’s all controlled by this one desk here for the whole shed so if they follow the instructions from here, nothing can go wrong. Clinton: Once the order has been picked, it’s wrapped… then moved to the staging area for trucking to customers – like supermarkets and shops. Paul: Welcome to what 35 and a half thousand pallets looks like! We go seven high, we’ve got a staff of about 80-100 full-time equivalents and we go across two shifts starting at 6am going through to midnight. Paul: My role here is that I’m the site manager, and what that means is I have plenty of contact with the staff on the floor, sorting out any issues that may occur with them but also offering encouragement and support for them plus also with our clients making sure they’ve got no issues and helping them out with any difficulties they may have. Paul: So here we go Fallon, here’s one of the picking machines that we use to pick our clients' orders on. It’s electric-powered and very nice and easy to use. Do you want to get on and have a quick wee go? Paul: So here’s the steering wheel – backwards and forwards, side to side, and up and down. Clinton: After Paul has instructed Fallon in driving the picking machine, it’s time to head out into the racks. Paul: Here we go, come on down. There it is – AN209A1. Paul: Yep, you’re just level with it there. So what we need to do now, is use the RF gun. Clinton: The RF gun is used to scan the shelf, then the product, to check the right quantity is being picked. As a double check, the quantity left at the pick face is also calculated. Paul: Cool, we’re onto the next one! Paul: Fallon! Where are you going?! Fallon: I don’t know! Oh too far! Paul: So what do you do now? Paul: I first started working in the warehouse when I was out of university, as a holiday job and just continued going and just slowly went further and further and further up the chain and every opportunity that was presented to me, I took it. Clinton: Fallon’s catching on fast, but there’s so much more that can be learnt. Tranzqual is the Industry Training Organisation that handles qualifications for the warehousing and distribution industry. Robert Adin is Tranzqual’s communications adviser. Robert: For someone who is entering a role such as this, straight from school, they could possibly get into Level 2 Distribution and Warehousing National Certificate. That would be a really great start where they could come in, be working full time, they could earn while they learn, without a student loan, and from there the opportunities are endless. Clinton: Fallon’s made the most of this job opportunity by mastering reversing. Customer services is another important aspect of the operation and Suzanne Restieaux, Linfox’s New Zealand fleet administrator, shows Fallon what’s involved. Suzanne: So what we do in this office is we handle all our queries for all our customers when they call in. Suzanne: The customer service role basically is the point of contact for all of our customers. They come to us with any queries and we help them out as much as we can with either warehousing or the transport side of things. So we’ll go and source what the problem is, fix it and then go back to them and give them their solution and everything has a solution as far as we’re concerned. Suzanne: So what we need to do next is we just need to confirm with our customer that we’ve got the pick-up request and that we’ve received it and that it will be actioned as soon as possible for them. Suzanne: The pressure is on in this industry. It’s a fast-paced industry and you’re juggling 10 different things at once and you’ve got to know where you are at any point, at any time in regards to customer queries. Fallon: Cool, thank you very much. Bye. Suzanne: That was really good, that was really good. Paul: In a trainee, you’re really looking for someone that’s going to turn up, is reliable, good work ethic and they want to learn as well, like put their hands up and say, “Look, can I learn more?”, rather than just sitting back and just carrying on as being one of the flock of sheep. You’ve got to stand out in a sort of way if you want to get ahead. Clinton: Well, it’s been a busy day for Fallon – she’s already dreaming of driving the big forklift called the reach truck, but how did she find the job? Fallon: It was fun, I like it! Suzanne: Fallon was a great girl – she’s bright, she’s confident, she took on the tasks willingly. I think she’d be and asset for anyone’s company. I was really pleased with her. Fallon: Paul: I’ve seen Fallon trying to reverse a picking machine and I know she has gotten better but putting her in a reach truck would be like putting her in a Formula One car, I think. Maybe next year! Clinton: To start a career in warehouse and distribution, a basic knowledge of English and maths is preferred. Some companies like Linfox provide on the job training for skills like forklift driving and IT skills. Other opportunities for training include Modern Apprenticeships, and national certificates in distribution. There are lots of prospects for specialising in the specific areas of warehousing, customer service, transport and dispatch. Clinton: Never mind Fallon, I am sure you’ll master driving that big forklift one day! Coming up after the break we head to Christchurch as Alisha finds out about a career as a nurseryman. There are no specific requirements to become a storeperson. However, a New Zealand Certificate in Occupational Safety and Health (Workplace Safety) may be useful. If the job involves using a forklift, you may need a Class 1 driver's licence with an F endorsement. If the job involves transporting hazardous items, you may also need a dangerous goods (D) endorsement. Warehouse managers need to have previous experience in a warehouse. A New Zealand Certificate in Distribution at Levels 2, 3 or 4 may also be useful. More advanced qualifications in logistics and transport management are also available. There are no specific secondary education requirements to become a storeperson. However, English and maths are useful. taking inventories (checking how much stock is held in a warehouse). For those wanting to get into management roles, any supervisory or management experience is useful. Storepeople need to be reasonably fit and strong, as much of their work involves lifting and standing for long periods. the occupation is large – according to ServiceIQ, 21,133 people worked as storepeople in 2016. 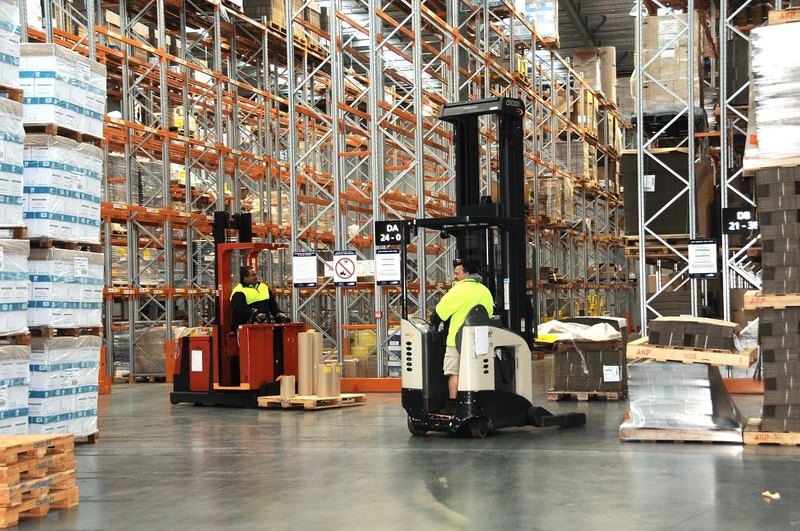 Many people get into warehousing jobs by starting as casual workers, who are often hired during peak seasons such as Christmas. Casual work often leads to full-time employment. Demand is higher for storepeople and managers with experience in logistics (buying, storing and delivering goods), especially at the bulk or wholesale level, as warehousing is increasingly done from national rather then regional warehouses. Ready, D, senior recruitment consultant, Superior Personnel, Careers Directorate – Tertiary Education Commission interview, January 2018. ServiceIQ, 'Retail and Retail Supply Chain', accessed February 2018, (www.serviceiq.org.nz). Stats NZ, 'Exports and Imports Hit New Highs in 2017', January 2018, (www.stats.govt.nz). Storepeople may progress to become supervisors, or store/warehouse managers. Contract warehouse workers/managers work in warehouses that provide space for companies without their own warehouses. This means they may deal with a wide variety of products and many freight companies. Inventory control managers work in warehouses and keep track of goods on hand and ensure the warehouse has adequate stock at all times. Purchasing/supply officers buy or supply equipment, materials and services at the best price and quality for an organisation. Forklift operators operate vehicles that have a lifting platform for shifting and stacking heavy articles such as pallets, bales, crates, containers or cartons.